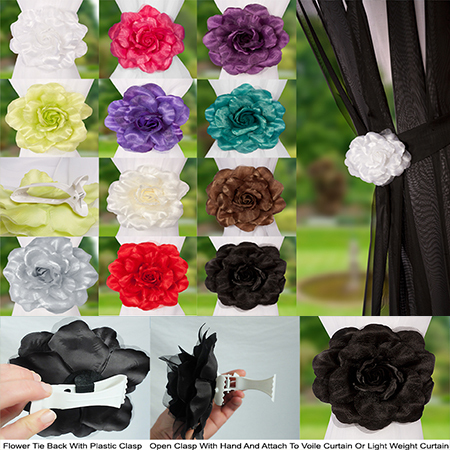 "A beautiful rose flower tie back that uses a clip to hold the curtain in place. Easy to use and no wall drilling necessary. Suitable for light to medium weight curtains if no tie back is present but can be used with all weights of curtains as an addition to the existing tieback. The flower diameter measures approx 6" (15cm)"